In a speech Tuesday night at Montreal’s McGill University, Al Gore “described the activities of the National Security Agency as “outrageous” and “completely unacceptable” and said whistleblower Edward Snowden has “revealed evidence” of crimes against the US constitution. he was in favor of using surveillance to ensure national security, but Snowden’s revelations showed that those measures had gone too far. “I say that as someone who was a member of the National Security Council working in the White House and getting daily briefings from the CIA,” Gore said, in comments reported by the Canadian Press. Gore had previously said he believed the practice of the NSA collecting US citizens phone records was unlawful and “not really the American way”, but his comments on Tuesday represent his strongest criticism yet. Asked about Snowden, the NSA whistleblower whose revelations have been reported extensively by the Guardian, Gore said the leaks had revealed uncovered unconstitutional practices. “He has revealed evidence of what appears to be crimes against the Constitution of the United States,” Gore said. 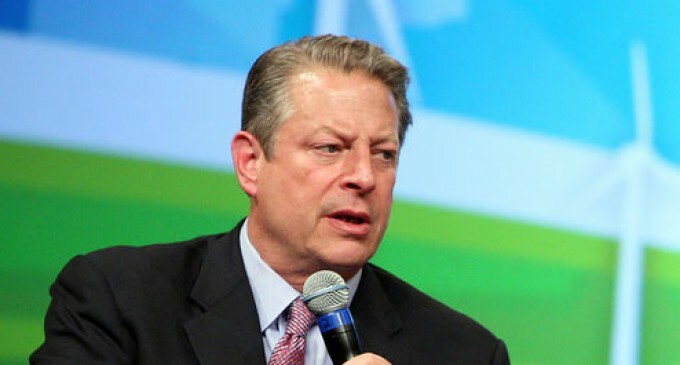 Granted, this is Al Gore talking, but he still made valid points in this speech. yeah about snowden and the nsa spying on us,i thought this was a free country.
? The smartest thing he ever said! Even this idiot gets it..